I just ordered what I thought is a really cool looking brush. 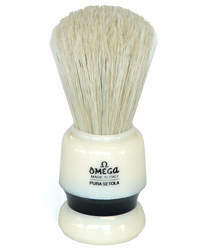 It's a boar brush from Omega. Model 80097. Not many places carry this brush. I ordered it from "ShoeBox ShaveShop" for $16.99. Here is picture and a link. http://www.shoeboxshaveshop.com/omega-80097.html It has a 24mm Knot and a 55mm Loft. Congratulations on the new brush and I hope you enjoy it! When I receive it I will post a better picture and a short review. 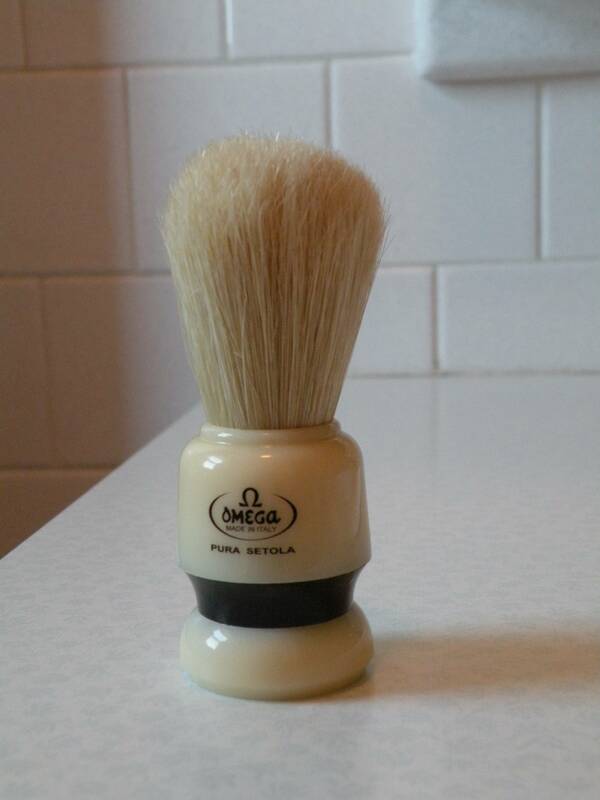 I have liked Omega boar brushes in the pass so I'm really looking forward to trying this one. I've always liked Omegas better than that other brand. It's all about the knot and theirs are better......imho. Nice brush. Let us know how it breaks in. 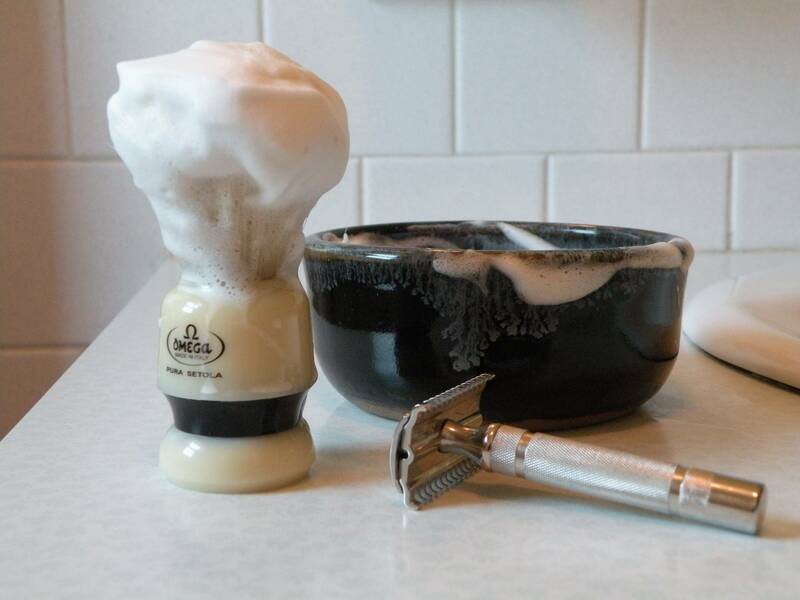 I think Shoebox Shave Shop may have the best selection of Omegas anywhere. I got my Omega 80097 brush in today and it looks even better in real life. I am not going to use it today because I only shave every other day. But I had to give it a try. So I whipped up some lather. I could have worked the lather a little bit longer but I was in a hurry to take the picture. Still I tried some lather on my face and it was just fine. Better than fine. I can't imagine this getting any better after it breaks in. I love it now. Nice looking brush! Fantastic value too! Lately the Omegas have been broken in after one test lather. I'd bet that if you look closely at the fiber ends you'll find that most of them are already split.